I have already made carrot cake earlier this year, and every time I eat it I feel like I could have it on a daily basis. 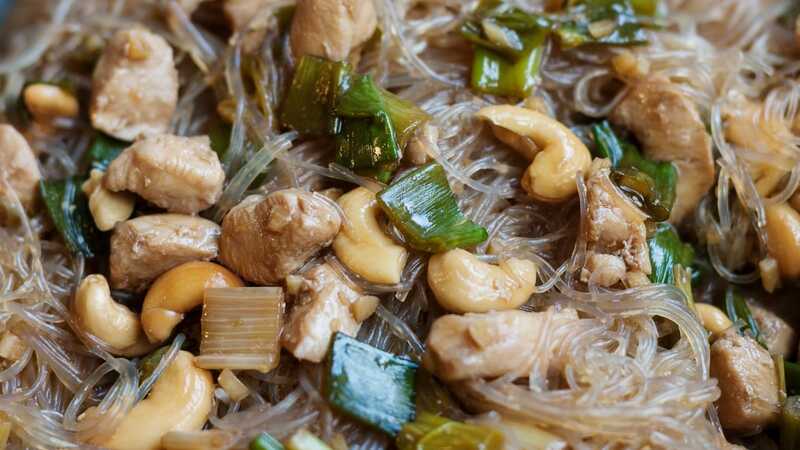 It’s delicious, and its spicy taste is probably what makes it so special. The carrots just give it texture, really, as their taste is the background to the cinnamon and walnut flavours that meet your palate first. Not to mention how well the cream cheese frosting pairs with this cake. The café at the university sells wonderful carrot muffins baked on the spot, topped with cream cheese frosting, and those little sweets have often been my reward after a long day of study at the library. Days are shortening up way too quickly now, and with winter approaching one has to top up on vitamins. Well, carrot cake is one of those foods rich in vitamin A, isn’t it? For sure, it’s a carrot-based food that can be appreciated also by those who usually don’t really enjoy carrots. I mean, in savoury dishes. Turn carrots into a dessert and they will have it. There, and by the way here’s your dose of vitamin A, you are welcome. 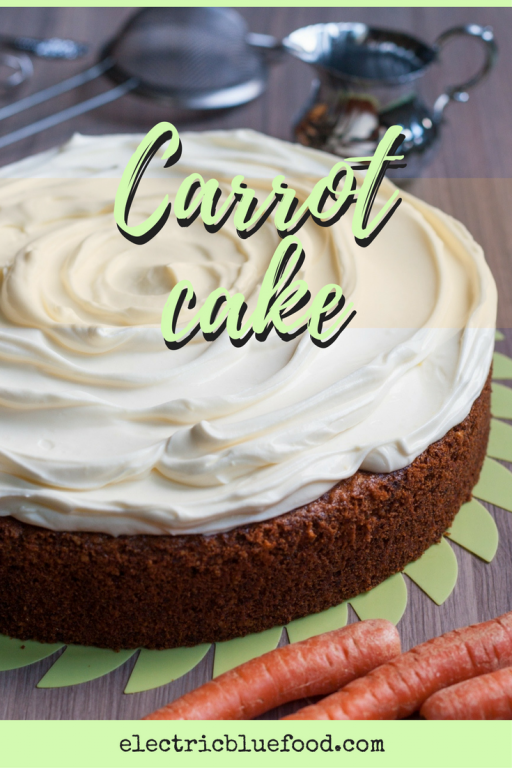 Just follow my easy carrot cake recipe (for the cram cheese frosting recipe just scroll further down). Preheat oven to 180°C. Line the bottom of a cake pan with parchment paper, put walnuts inside and toast walnuts as the oven is heating up (ideally 5 minutes when it’s around 100-120°C). In a food processor, shred carrots. Alternatively, you can grate them, but I prefer to spare myself this and just mince them in a food processor, in the cake they will work equally fine. Set carrots aside, take toasted walnuts out of the oven and grind those. In a bowl, beat eggs with a hand mixer until light and frothy. Keep beating and gradually add the sugar, this will make the mixture thicken. After the sugar, always beating, pour in the oil (I used canola oil) in one slow stream and incorporate. In another bowl, mix together flour, baking powder, cinnamon, vanilla and salt. Add half of those to egg mixture and incorporate mixing at slow speed. Once incorporated, add the second half and mix in. Lastly, fold in the grated carrots and ground walnuts. Pour batter in a cake pan and bake at 180°C for about 40 minutes. To make my carrot cake I adapted the version found on the website Joy of Baking, the best carrot cake recipe I tried. I used less walnuts, simply for an accidental shortage of walnuts in my house, only baking powder and a different type of vanilla. As for the carrot cake icing, I used my own cream cheese frosting recipe. Combine zest and granulated sugar and mix them with a hand mixer, in order to rub the zest as much as possible into the grains of sugar. After a couple of minutes, add the cream cheese and incorporate the lemony sugar into it by mixing at medium speed. Mix for about 5 minutes, in order to dissolve the granulated sugar as much as possible. Then start adding the icing sugar, one tablespoon at a time. Finally, pour in the whipping cream and mix it at slow speed until firm. Do not overmix, and stop as soon as firm peaks form (it should take up to 2 minutes). This amount of frosting is enough to make a nice thick layer on top of the cake. An alternative can be slicing the cake in half and filling it also inside, making it a layer cake. Personally, though, I prefer it with all the frosting on the top, like a larger version of the muffins sold at my university. Man, I love carrot cake! Well done! Thank you 😉 I love that cake, too! One of my favorite traditional cakes !! !